Experience the brand name alternative to the OEM. 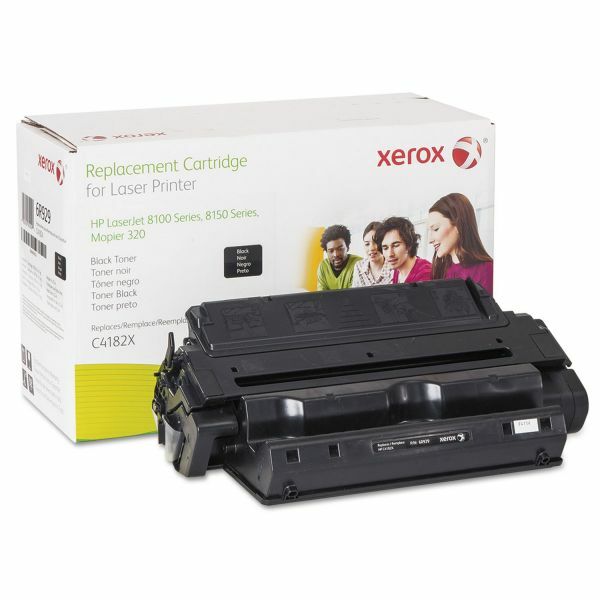 Affordably priced at 25% to 35% savings from the OEM cartridge. Backed by a Lifetime Guarantee. Xerox 006R00929 Replacement High-Yield Toner for C4182X (82X), Black - Toner cartridge is designed for use in the Hewlett-Packard LaserJet 8100, 8100DN, 8100N, 8150, 8150DN, 8150HN, 8150MFP and 8150N. Yields 20,000 pages.